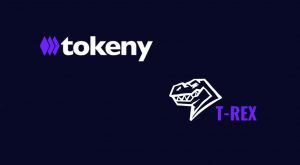 Tokeny, a compliant tokenization platform has recently announced the release of the T-REX (Token for Regulated EXchanges). The purpose of T-REX is to allow for the issuance of security tokens on a blockchain infrastructure and the subsequent transfer in a compliant way, with a particular focus on KYC and AML regulations. T-REX is comprised of three key pillars, the identity management system, a set of validation certificates and the transfer manager. Whilst attracting a lot of attention and interest, the security token industry is still in its infancy. The need for standardization and respect of compliance standards applying in the securities industry is essential if the ecosystem is to develop and gain mass adoption. Key to this is building a community that can contribute to the continuous development of tools on the blockchain. Tokeny has taken the decision to remain completely transparent and ensure the T-REX standard is completely open source. To take a step back, assets, such as equity, funds, bonds or commodities can be represented by — or issued as — tokens on the blockchain. There are significant advantages in doing this process on-chain as opposed to traditional finance methods. For example, many processes that are carried out today by middlemen can be automated through the use of smart contracts. This, in turn, reduces operational costs and enables a greater transfer speed of ownership. The ICO boom of the last two years represented a new way to transfer value and illustrated a great technological advancement. However, due to a lack of regulation, scandal and fraudulent activities were rife. Security tokens, to the contrary, should be considered as securities with all relevant securities laws applying. Having developed and released the T-REX, Tokeny is sharing a set of tools that leverage the technological advancement of blockchain whilst also ensuring this is done in a compliant and regulated way.